Startup Kaduna, the number 1 startup community in Kaduna State, in partnership with Tony Elumelu Alumni Network Nigeria is organising a free workshop for female entrepreneurs applying for the 2017 Tony Elumelu Foundation Entrepreneurship Programme. 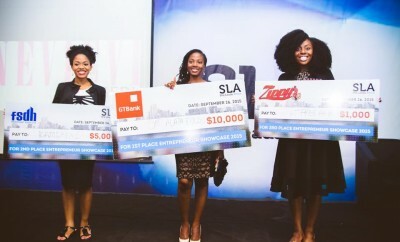 This event is aimed at ensuring that the female entrepreneurs create a winning proposal in order to boost their chances of being selected amongst the lucky 1000 entrepreneurs who will receive the Tony Elumelu $10,o0o seed fund. To attend event, text your full name and e-mail address to 08065866009 to register. Attendance is free on registration. Speaking at the event is Adeola Bojuwoye; CEO, Roundstone Consulting. The #TEF2017 Application Workshop is supported by ilmihouse and will take on February 18, 2017 from 10 am. The venue for the Startup Kaduna #TEF Application Workshop is: ilmihouse, 3A Lapai road, tail end of Ohinoyi Road, Ungwan Rimi, Kaduna. For more information call 07034950107.